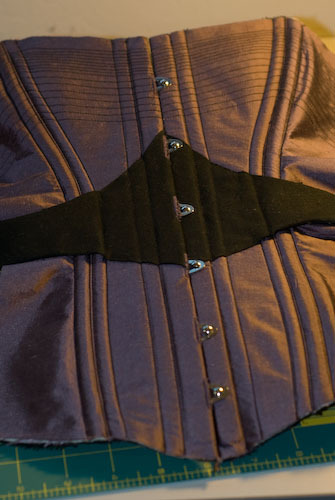 Here is the center front of purple corset featuring a black girdle with the boning channels sewn. The lace detail will be hand-sewn on after construction is completed. 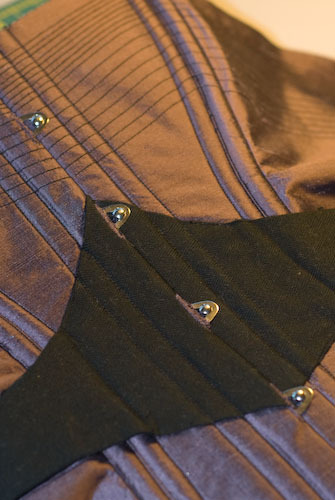 The purple silk glows black from an angle and ties in with the black stitching so well. Workroom: painted wall & new shelves! I wanted to call it PB&J! Funny you felt that too.